Little did we know that Apple uses software stabilization for its video recording on iPhone 6 Plus while the images are tackled using the hardware OIS tool. OIS gave iPhone 6 Plus an edge to feature much sharper and clearer images, especially in low light in comparison to the previous generation iPhone. Eerie, we didn’t know about it. Not that software stabilization has not done a good job, the OIS looks to be disabled according to several evidence. Its not that hard to pinpoint the non-availability of OIS in iPhone 6 Plus while recording video. If you compare iPhone 6 Plus’s video recording alongside a smartphone featuring OIS for video recording, you will clearly see the difference in live view while tilting the smartphones. Henceforth, we conclude that the OIS is only available in iPhone 6 Plus for still image purposes. Software Stabilization Intended For A Positive Reason? As we have mentioned before, the software stabilization in iPhone 6 Plus does not fail to reflect an above average outcome. Considering Apple did not enable OIS for video recording, the cinematic video stabilization does its job by a software algorithm. This is the reason the video quality and stabilization differs from viewing it live and then afterwards once you’re done. 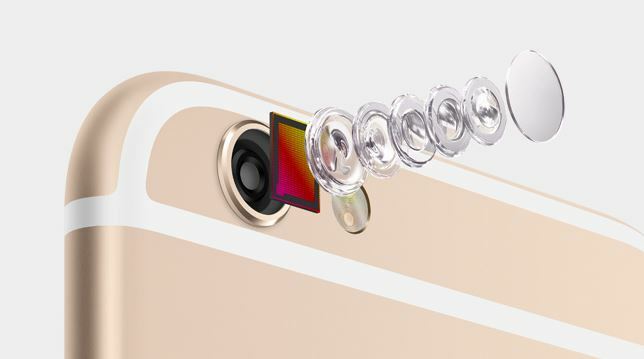 iPhone 6 Plus introduces optical image stabilization that works with the A8 chip, gyroscope, and M8 motion coprocessor to measure motion data and provide precise lens movement to compensate for hand shake in lower light. The fusing together of long- and short-exposure images also helps to reduce subject motion. This unique integration of hardware and software delivers beautiful low-light photos. The software stabilization removes the glitch in the recording and provides a more stable touch. Hence, the quality of video on iPhone 6 Plus is not as bad as it sounds. An even better explanation lies with Apple and maybe the Cupertino giant will take notice of it. Three quarters after the initial launch of the iPhone 6 Plus, we have come across a news familiar to only a few. The question remains, will Apple adopt the same technology in its forthcoming iPhone 6S or 6S Plus? let us know in the comments below.